This season, about 70 NFL players are wearing a new helmet that's a radical departure from previous iterations -- and, the league believes, safer. It won't be easy to spot when you're watching games on Sunday. The Vicis Zero1 looks a lot like other helmets. But it's designed to soften the blows to the heads of NFL players. 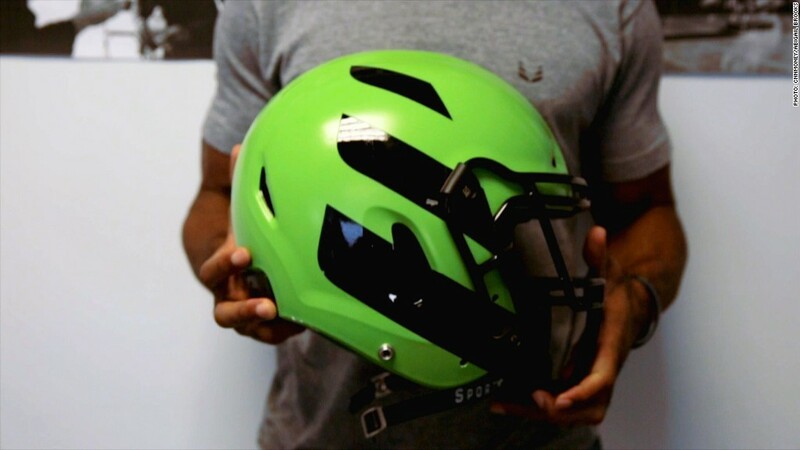 The scientists, neurosurgeons and engineers who designed the helmet make clear that it won't prevent concussions. No helmet will. Houston Texans linebacker Brian Cushing, who wears the Vicis helmet, suffered a concussion during his team's first game of the season. 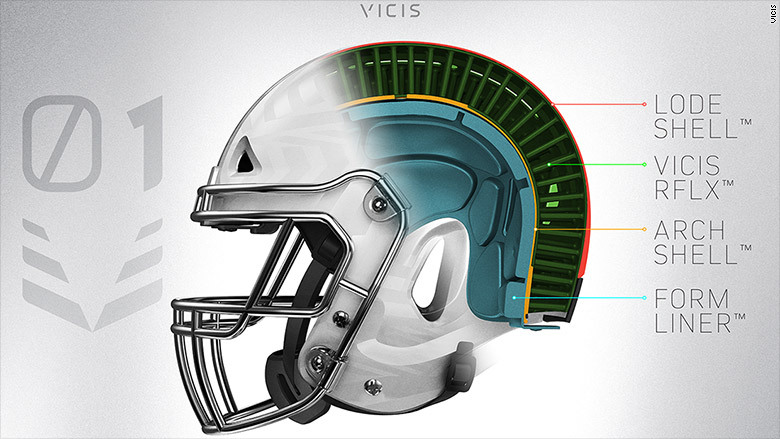 A cross section of the VICIS helmet. "You don't feel the thuds as hard as they normally are," said Seahawks defensive end Cliff Avril, who is wearing the Vicis. Chiefs center Mitch Morse said he's "always looking to be progressive, especially regarding brain function and health, so for me, it was a pretty easy switch to make." The NFL has invested in preventing, diagnosing and treating head injuries. Last year it announced a $100 million concussion initiative aimed at making the game safer. Of that amount, $60 million will go to tech innovation and $40 million will go to medical research. An NFL spokesperson told CNNMoney the league is "optimistic" that the Vicis helmet will be "the first of many novel developments as we continue to stimulate research and innovation." The company also wants to sell it to children and high schoolers. It will be available online starting this fall. Vicis isn't saying what it will charge, only that the helmet will be cheaper than $1,500. It also plans to offer discounts. Vicis cofounder and pediatric neurosurgeon Sam Browd said he doesn't want cost to keep any kid from using one. "There's certainly going to be communities out there where a helmet, no matter what price point we come in at, is going to be maybe too expensive," he said. "Whatever kids feel like they want to be in our helmet, and would think our helmet's safer, I'm going to make sure that they get the helmet."